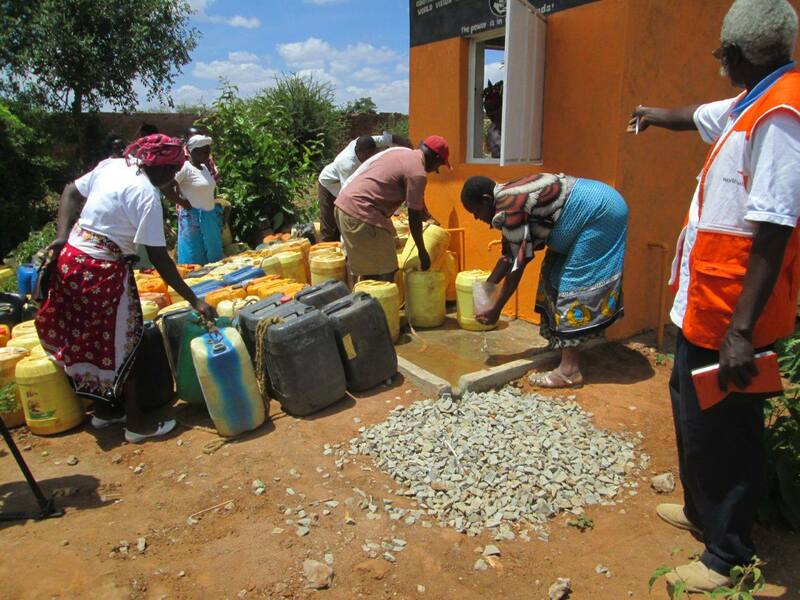 I was so thrilled to see photographs posted on Facebook of fresh water running in my friend’s village in Kenya. You see I had grieved with my friend, Mwikali, when Kenya was badly hit by drought a few years ago. She was on the phone all of the time checking her family were OK, after seeing a picture of scores boney cow’s carcasses in The Guardian newspaper. 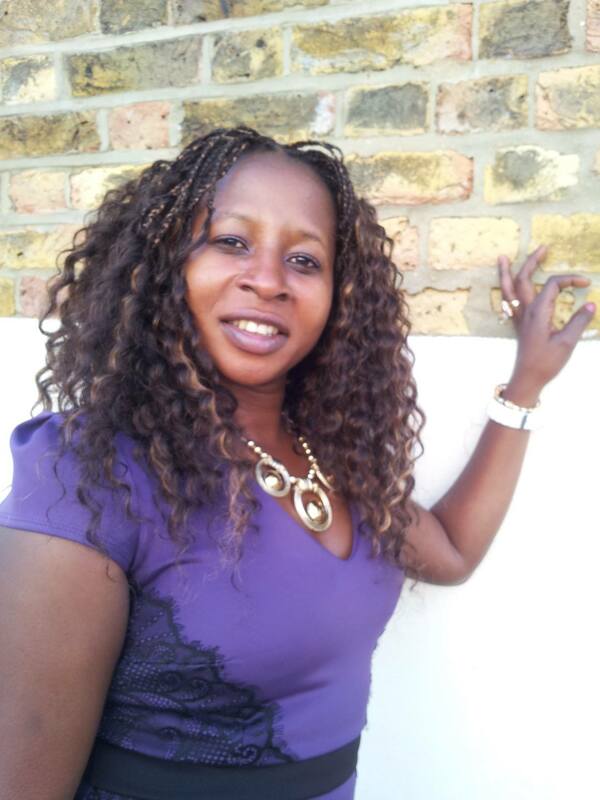 Mwikali selflessly provides for her family while working in England as a nanny and a housekeeper and felt helpless so many miles away when the drought took place. You see the people in her village already had to walk a mile to the river to get water in the wet season, and in the dry season they had to walk eight miles to the nearest borehole. The villagers crops kept dying due to lack of water and the poor people were forced to eat unripe fruit from wild trees. Her family were having to queue half a day at the tap to get water. Mwikali was even told that when a donkey was killed by a car, people rushed to cut meat from it because they were so hungry. Here in the UK we are so blessed with water on tap and food on the shelves of the supermarkets. It is hard to imagine how the majority of the World manage to survive by their own devices. This is why we should give to the poor and the hungry when we have means to do so. The Bible says, ‘But if anyone has the world’s goods and sees his brother in need, yet closes his heart against him, how does God’s love abide in him? Little children, let us not love in word or talk but in deed and in truth,’ 1John 3:17-18. That is why several friends and I encouraged Mwikali and supported her fundraising efforts to sink a borehole in her village. It was the least we could do to help them. Mwikali gathered sponsors and ran a marathon, we held table top tales, afternoon teas and organised a Gala Dinner to help get the money together. Eventually, she had about £12,000. Enough to sink a borehole, but the first borehole could not reach water. Mwikali then asked World Vision to help support their efforts, and they did. I can only imagine the excitement of the villagers being able to drink the water straight from the borehole. 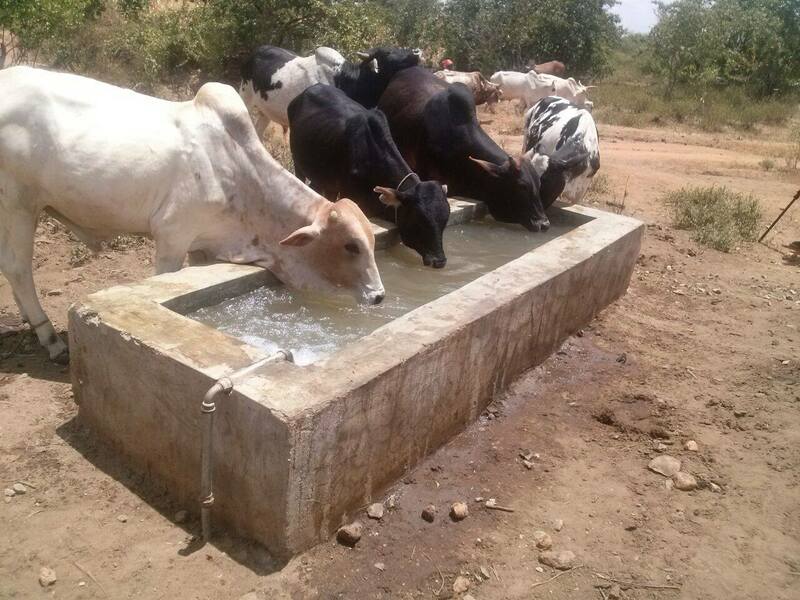 To be able to water their crops, feed themselves and their cattle even in a drought is an amazing blessing. So it was great to hear the news that Mwikali has now been nominated for a STAR AWARD for her selfless acts for her family and village. Well done Mwikali. You’re a star! You can also nominate a woman or girl for a STAR AWARD for their sacrifices for others by simply email lifteffects@hotmail.com by March 30th. LIFT EFFECTS, an organisation that hosts conferences, seminars and workshops to provide a platform for speakers with extraordinary stories to tell, is looking for nominees. The winners will be presented with a Star Award at ‘The Extraordinary Lady Speaks Conference’ on Saturday May 16, 2015, at Fairfield Halls, London. This entry was posted in Awards for selfless acts, Christian, Encouraging, News, World Vision and tagged Bible, Christian, Feeding the hungry, Star Awards, World Vision. Bookmark the permalink. ← Star Awards For Star Women!